Eurotech has expanded its range of Multi-service IoT Gateways with the launch of the DynaGATE 10-12 and the announcement of the DynaGATE 10-06. 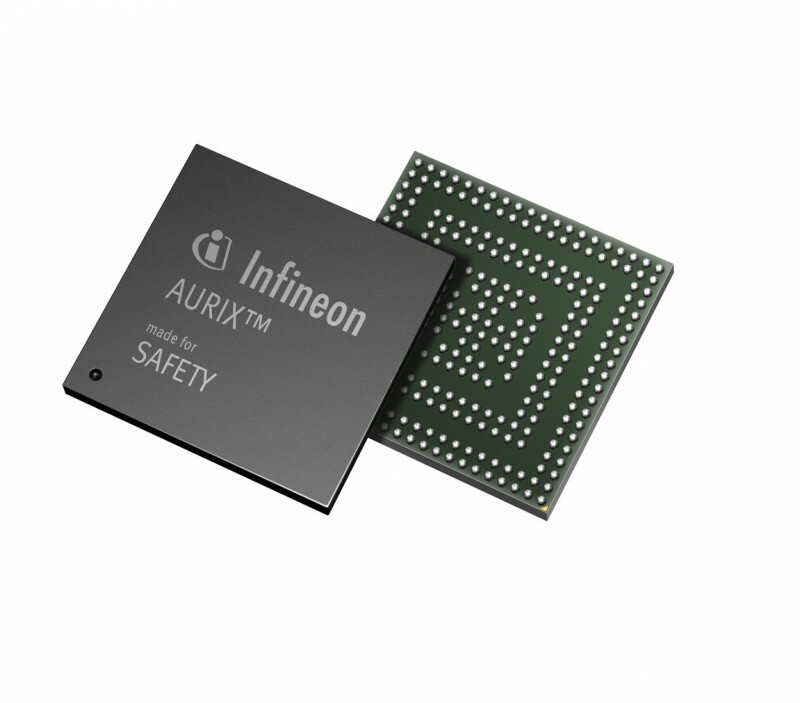 Both systems are carrier pre-certified, with an integrated LTE Cat 1 cellular, GPS, Wi-Fi, BLE, E-Mark and SAE/J1455 certifications and a -40 ºC to +85 ºC operating temperature. The DynaGATE 10-12 is a low-power gateway based on the TI AM335X Cortex-A8 (Sitara) processor family, with 1 GB RAM and 4 GB eMMC. It features a 6 to 36VDC power supply with transient protection and vehicle ignition sense, 2x protected RS-232/RS-485 serial ports, 2x CAN bus interfaces, 3x noise and surge protected USB ports and 4x isolated digital I/Os. The DynaGATE 10-12 is suitable for on-board applications, with a metal enclosure, high retention connectors and screw-flange terminal blocks. 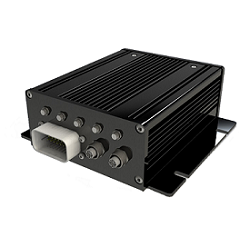 The DynaGATE 10-06 (shown) is an IP67, heavy-duty IoT gateway for Automotive applications. It features an internal battery that provides minutes of uninterrupted operation in case of power failure. 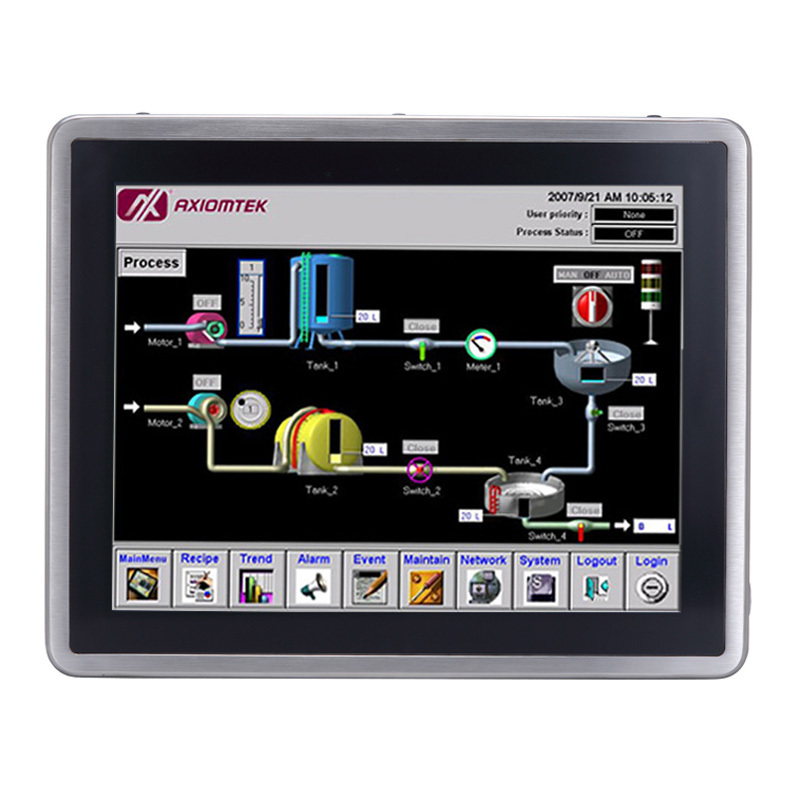 Based on the NXP i.MX 6UltraLite Cortex-A7 processor, with 512MB RAM and 4GB eMMC, the DynaGATE 10-06 features a 6 to 36V power supply with protections and vehicle ignition sense, 3x protected RS-232/RS-485 serial ports, 2x CAN bus interfaces, 1x noise and surge protected USB port and 2x protected digital I/O. All these interfaces are available through a rugged AMPSEAL connector. Microchip Technology has also established a Security Design Partner Program for connecting developers with third-party partners that can enhance and expedite secure designs. Along with the program, the company has also released its ATECC608A CryptoAuthentication device, a secure element that allows developers to add hardware-based security to their designs. According to Microchip, the foundation of secured communication is the ability to create, protect and authenticate a device’s unique and trusted identity. By keeping a device’s private keys isolated from the system in a secured area, coupled with its industry-leading cryptography practices, the ATECC608A provides a high level of security that can be used in nearly any type of design. The ATECC608A includes the Federal Information Processing Standard (FIPS)-compliant Random Number Generator (RNG) that generates unique keys that comply with the latest requirements from the National Institute of Standards and Technology (NIST), providing an easier path to a whole-system FIPS certification. Boot validation capabilities for small systems: New commands facilitate the signature validation and digest computation of the host microcontroller firmware for systems with small MCUs, such as an ARM Cortex-M0+ based device, as well as for more robust embedded systems. Trusted authentication for LoRa nodes: The AES-128 engine also makes security deployments for LoRa infrastructures possible by enabling authentication of trusted nodes within a network. Fast cryptography processing: The hardware-based integrated Elliptical Curve Cryptography (ECC) algorithms create smaller keys and establish a certificate-based root of trust more quickly and securely than other implementation approaches that rely on legacy methods. Tamper-resistant protections: Anti-tampering techniques protect keys from physical attacks and attempted intrusions after deployment. These techniques allow the system to preserve a secured and trusted identity. Trusted in-manufacturing provisioning: Companies can use Microchip’s secured manufacturing facilities to safely provision their keys and certificates, eliminating the risk of exposure during manufacturing. In addition to providing hardware security solutions, customers have access to Microchip’s Security Design Partner Program. These industry-leading companies, including Amazon Web Services (AWS) and Google Cloud Platform, provide complementary cloud-driven security models and infrastructure. Other partners are well-versed in implementing Microchip’s security devices and libraries. Whether designers are looking to secure an Internet of Things (IoT) application or add authentication capabilities for consumables, such as cartridges or accessories, the expertise of the Security Design Partners can reduce both development cost and time to market. For rapid prototyping of secure solutions, designers can use the new CryptoAuth Xplained Pro evaluation and development kit (ATCryptoAuth-XPRO-B) which is an add-on board, compatible with any Microchip Xplained or Xplained Pro evaluation board. The ATECC608A is available for $0.56 each in 10,000 unit quantities. The ATCryptoAuth-XPRO-B add-on development board is available for $10.00 each. The amount of power a commercial drone can draw on has a direct impact on how long it can stay flying as well as on what tasks it can perform. But each kind of power source has its tradeoff. Because extending flight times is a major priority for drone applications, drone system designers are constantly on the lookout for ways to improve the power performance of their products. For smaller, consumer “recreational” style drones, batteries are the obvious power source. But when you get into larger commercial drone designs, there’s a growing set of alternatives. 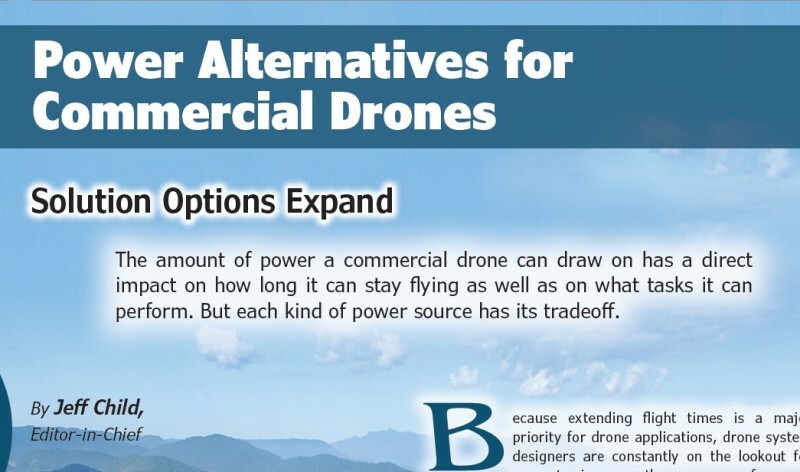 Tethered drone power solutions, solar power technology, fuel cells and advanced battery chemistries are all power alternatives that are on the table for today’s commercial drones. According to market research firm Drone Industry Insights, the majority of today’s commercial drones use batteries as a power source. As Lithium-polymer (LiPo) and Lithium-ion (Li-ion) batteries have become smaller with lower costs, they’ve been widely adopted for drone use. The advancements in LiPo and Li-ion battery technologies have been driven mainly by the mobile phone industry, according to Drone Industry Insights. The market research firm points to infrastructure as the main advantage of batteries. They can be charged anywhere. While Li-Po and Li-Ion are the most common battery technologies for drones, other chemistries are emerging. Lithium Thionyl Chloride batteries (Li-SOCl2) promises a 2x higher energy density per kg compared to LiPo batteries. And Lithium-Air-batteries (Li-air) promise to be almost 7x higher. However, those options aren’t widely available and are expensive. Meanwhile, Lithium-Sulfur-batteries (Li-S) is a possible successor to Li-ion thanks to their higher energy density and the lower costs of using sulfur, according to Drone Industry Insights. Meanwhile battery vendors continue to roll out new battery products to serve the growing consumer drone market. 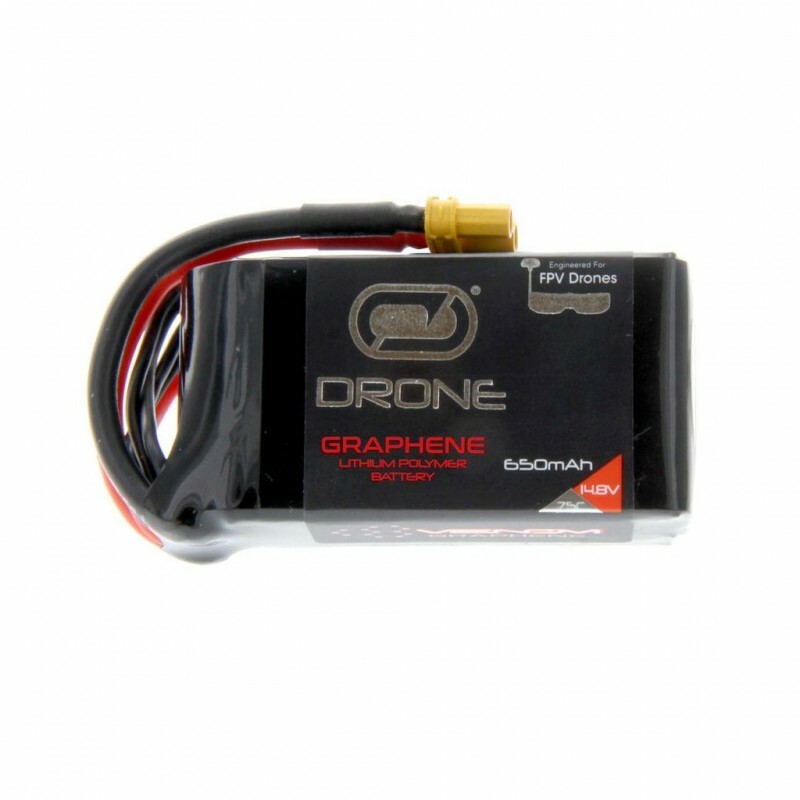 As an example, in June 2017 battery manufacturer Venom released its new Graphene Drone FPV Race series LiPo batteries. The batteries were engineered for the extreme demands of today’s first person view (FPV) drone racing pilots (Photo 1). The new batteries provide lower internal resistance and less voltage sag under load than standard LiPo batteries. As a result, the battery packs stay cooler under extreme conditions. The Graphene FPV Race series Li-ion batteries are 5C fast charge capable, allowing you to charge up to five times faster. All of the company’s Drone FPV Race packs include its patented UNI 2.0 plug system (Patent no. 8,491,341). The system uses a true Amass XT60 connector that attaches to the included Deans and EC3 adapter. Cypress Semiconductor has announced the inclusion of Cypress’ high-bandwidth HyperBus 8-bit serial memory interface into the new eXpanded SPI (xSPI) electrical interface standard from the JEDEC Solid State Technology Association. The xSPI standard defines requirements for the compatibility of high-performance x8 serial interfaces, enabling controller and chipset manufacturers to design a universal memory controller. The inclusion of the HyperBus interface in the JEDEC xSPI standard simplifies designing in HyperBus-based memories and provides more flexibility to system designers to implement instant-on functionality in automotive, industrial and IoT applications. 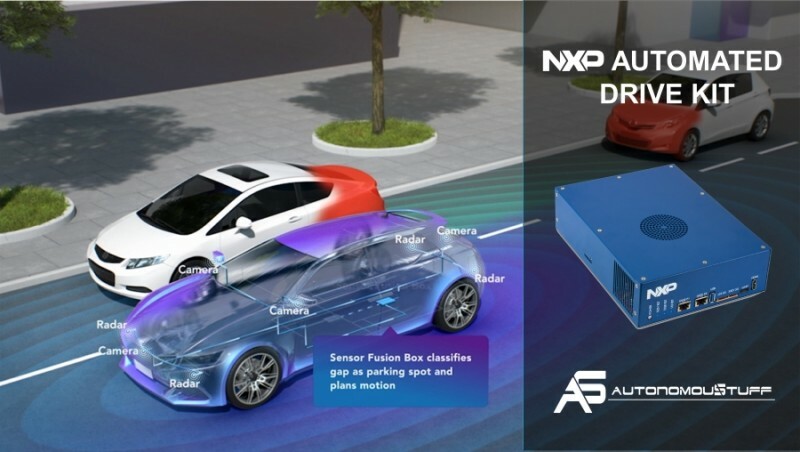 According to Cypress, the company was the first NOR flash memory supplier to identify the market requirement for a high-speed, 8-bit bus and introduced the HyperBus interface in 2014, ushering in a new class of high-performance NOR flash and RAM solutions that enable instant-on functionality for autonomous driving and industry 4.0 applications. Cypress’ HyperBus-based memories include high-density HyperFlash NOR Flash devices with the bandwidth required for the highest-performance embedded systems and high-speed HyperRAM self-refresh DRAM devices for systems requiring expanded scratchpad memory. The xSPI standard defines requirements for the compatibility of high-performance x8 serial interfaces, including read and write commands, electrical characteristics, signaling protocols for command and data transfers, and a standard pin-out in a BGA footprint. The 12-pin Cypress HyperBus interface consists of an 8-pin address/data bus, a differential clock (2 signals), one chip select and a read data strobe for the controller, reducing the overall cost of a system. Memories based on the interface enable faster systems with quicker response times and rich user experiences. The HyperBus interface enables a wide range of high-performance applications, such as automotive instrument clusters, infotainment and navigation systems and factory automation systems. 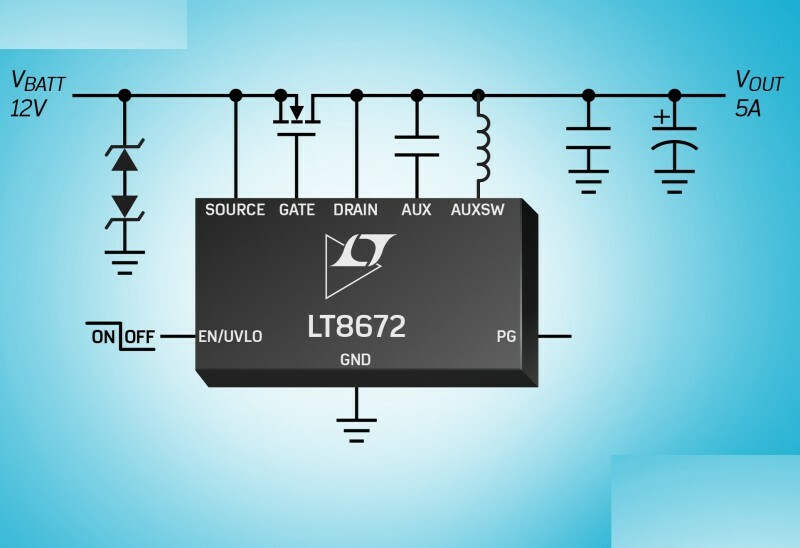 Analog Devices has announced the Power by Linear LT8672, an active rectifier controller with reverse input protection to –40 V. Its 3 V to 42 V input voltage capability is well suited for automotive applications which must regulate through cold-crank and stop-start scenarios with minimum input voltages as low as 3.0 V and load dump transients up to 40 V. The LT8672 drives an external N-channel MOSFET, offering a 20mV drop, reducing power dissipation by 90% compared to a Schottky diode, eliminating requirements for a costly heat sink. The ultrafast transient response enables it to meet stringent automotive applications requiring AC input ripple rectification up to 100 kHz. Additionally, its 20 µA quiescent current while operating and 3.5 µA in shutdown are ideal for always-on systems. The combination of the MSOP-10 package and external MOSFET ensures a compact solution footprint. The LT8672 offers the combination of 3 V minimum input capability and a 20 mV drop, enabling it to ease the minimum input voltage requirement during cold-crank and stop-start, providing simpler and more efficient circuits. If the input power source fails or is shorted, a very fast turn-off minimizes reverse current transients. Also, a power good pin signals when the external MOSFET is ready to take load current. The LT8672EMS is packaged in an MSOP-10 package. An industrial temperature version, the LT8672IMS, is tested and guaranteed to operate from a –40°C to 125°C operating junction temperature. The LT8672HMS version is tested and guaranteed to operate from a –40°C to 150°C operating junction temperature. Analog & Power. (1/2) This newsletter content zeros in on the latest developments in analog and power technologies including DC-DC converters, AD-DC converters, power supplies, op amps, batteries and more. Microcontroller Watch. (1/9) This newsletter keeps you up-to-date on latest microcontroller news. In this section, we examine the microcontrollers along with their associated tools and support products. IoT Technology Focus. (1/23) Covers what’s happening with Internet-of-Things (IoT) technology–-from devices to gateway networks to cloud architectures. This newsletter tackles news and trends about the products and technologies needed to build IoT implementations and devices. 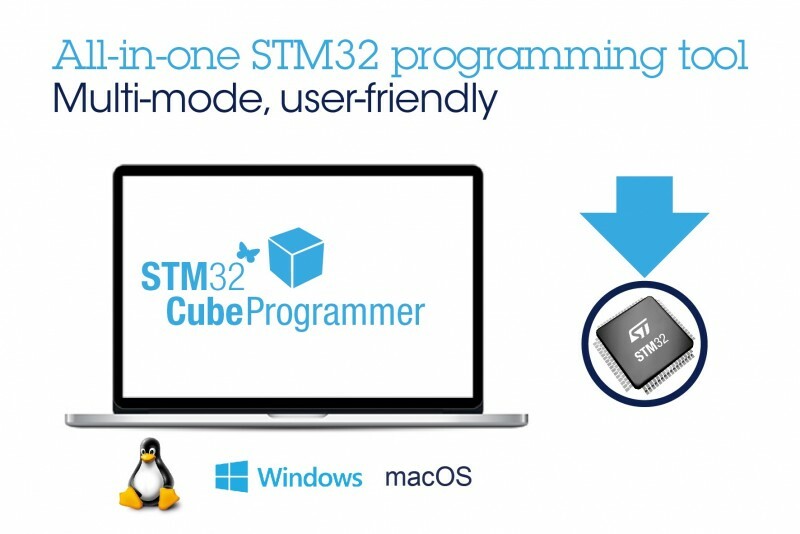 STMicroelectronics offers a new software tool, STM32CubeProgrammer, the provides device-programming and firmware upgrades for STM32 microcontrollers in a unified, multi-platform and user-configurable environment. Ready to run on Windows, Linux,or MacOS operating systems, the STM32CubeProgrammer can program the STM32 microcontroller’s on-chip Flash/RAM or external memories using various file formats. Further capabilities include whole-memory or sector erase and programming microcontroller option bytes. Users can also generate encrypted files for secure programming (Secure Firmware Install/Update) to authenticate production and protect intellectual property. With this tool, users can program STM32 microcontrollers through the device’s SWD (Single-Wire Debug) or JTAG debugging ports, or the bootloader ports (such as UART and USB). Hence the STM32CubeProgrammer brings the individual capabilities of the ST Visual Programmer, DFUse Device Firmware Update tool, Flash Loader, and ST-Link utility together within the STM32Cube ecosystem. ST will extend the STM32CubeProgrammer’s capabilities by adding programming access via microcontroller I2C and CAN ports. The STM32CubeProgrammer provides many opportunities to customize and configure features, using either the GUI or the command-line interface (CLI). Also, this all-in-one tool can be used in standalone mode or integrated and controlled from a custom application. Programming can be done manually or automated using scripts. 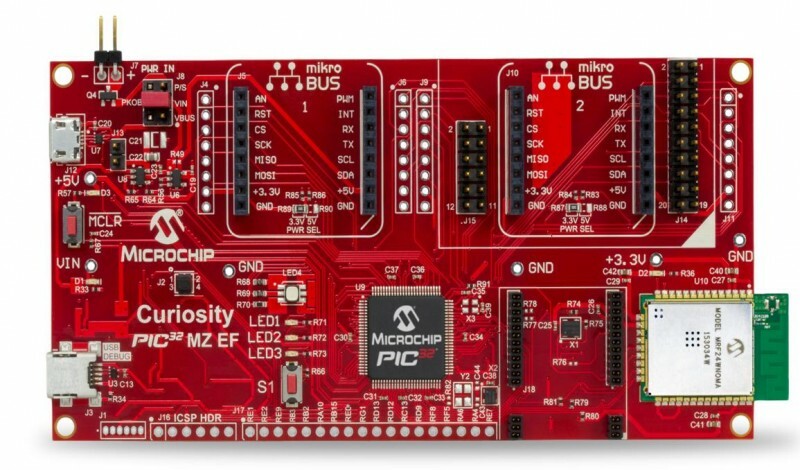 Microchip Technology has expanded its collaboration with Amazon Web Services (AWS) to support cloud-connected embedded systems from the node to the cloud. 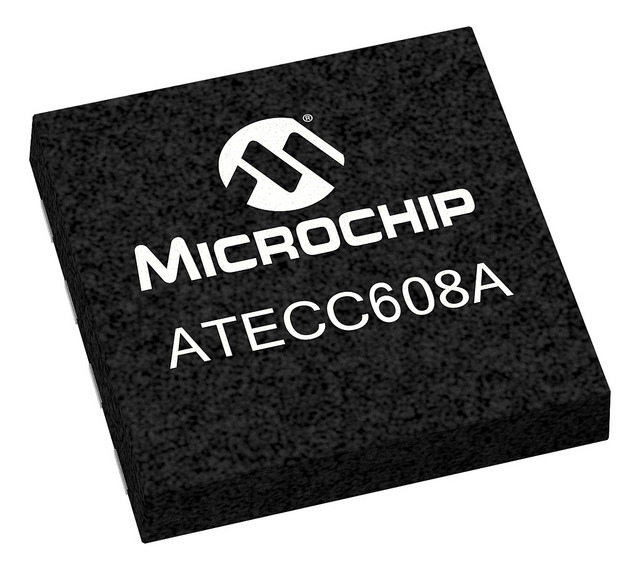 Microchip’s PIC32MZ EF series of microcontrollers now support Amazon FreeRTOS. 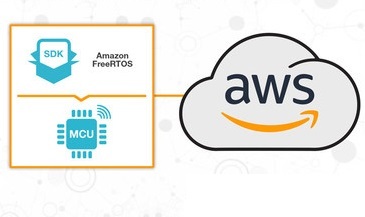 STMicroelectronics has announced its collaboration with Amazon Web Services (AWS) on Amazon FreeRTOS, the latest addition to the AWS Internet of Things (IoT) solution. 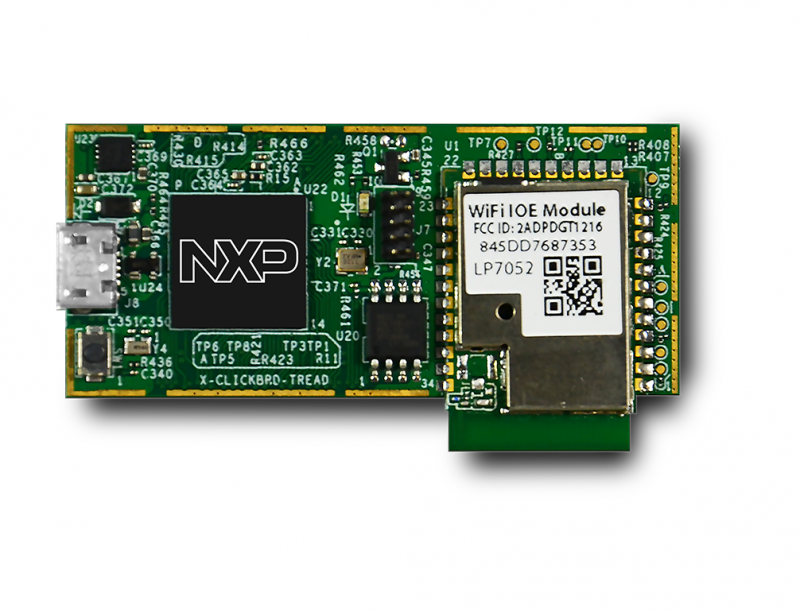 NXP Semiconductors has introduced the LPC54018 MCU-based IoT module with onboard Wi-Fi and support for the new Amazon FreeRTOS on Amazon Web Services (AWS), offering developers universal connections to AWS. Texas Instruments (TI) has announced the integration of the new Amazon FreeRTOS into the SimpleLink microcontroller platform. Texas Instruments has introduced the first 3-channel high-side linear automotive light-emitting diode (LED) controller without internal MOSFETs that gives designers greater flexibility for their lighting designs. The TPS92830-Q1’s novel architecture enables higher power and better thermal dissipation than conventional LED controllers, and are particularly beneficial for automotive LED lighting applications that require high performance and reliability. Conventional LED drivers integrate the MOSFET, which limits designers’ ability to customize features. With that type of driver, designers often must make significant design modifications to achieve the desired system performance. The TPS92830-Q1 LED controller’s flexible on-board features give designers the freedom to select the best MOSFET for their system requirements. With this new approach, designers can more quickly and efficiently optimize their lighting power designs for automotive system requirements and desired dimming features. 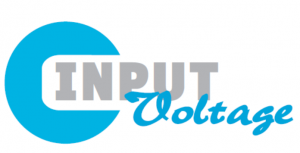 The on-chip pulse-width modulation (PWM) generator or PWM input enables flexible dimming. Designers can use either the analog control or PWM to manage an output current of more than 150 mA per channel, to power automotive rear combination lamps and daytime running lights. By pairing the LED controller with an external MOSFET, the designer can achieve the required high power output while distributing the power across the controller and MOSFET to avoid system overheating. By retaining linear architecture, the TPS92830-Q1 provides improved electromagnetic interference (EMI) and electromagnetic compatibility (EMC) performance. Advanced protection and built-in open and short detection features help designers meet original equipment manufacturer (OEM) system reliability requirements. The output current derating feature protects the external MOSFET under high voltage conditions to ensure system reliability. Support tools include the TPS92830-Q1 3-Channel High-Current Linear LED Controller evaluation module. Engineers can jump-start automotive lighting systems designs using the TPS92830-Q1 with the EMC Compliant Automotive Daytime Running Light and Position Light Reference Design with LED Thermal Protection. The TPS92830-Q1 is now available through the TI store and authorized distributors. Offered in a thin small outline package (TSOP), it is priced at US$1.96 in 1,000-unit quantities. The new year 2018 is almost upon us. It’s a special year for us because the year marks Circuit Cellar’s 30th anniversary. In tribute of that, we thought we’d share an article from the very first issue. 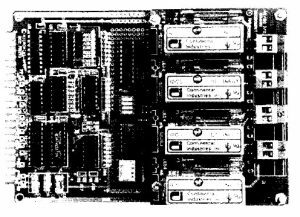 One of the most successful Circuit Cellar projects ever was the ImageWise video digitizing and display system (BYTE, MayAugust ‘87). It seems to be finding its way into a lot of industrial applications. I suppose I should feel flattered that a whole segment of American industry might someday depend on a Circuit Cellar project, but I can’t let that hinder me from completing the project that was the original incentive for ImageWise. Let me explain. When I’m not in the Circuit Cellar I’m across town at INK or in an office that I use to meet a prospective consulting client so that he doesn’t think that I only lead a subterranean existence. Rather than discuss the work done for other clients to make my point, however, I usually demonstrate my engineering expertise more subtly by just leaving some of the electronic “toys” I’ve presented lying around. The Fraggle Rock lunchbox with the dual-disk SBI 80 in it gets them every time! ImageWise was initially conceived to be the “piece de resistance”” of these hardware toys. The fact that it may have had some commercial potential was secondary. I just wanted to see the expressions on the faces of usually stern businessmen when I explained that the monitor on the corner of my desk wasn’t a closedcircuit picture of the parking lot outside my office building. It was a live video data transmission from the driveway at my house in an adjacent town. Implementing this video system took a lot of work and it seems like I’ve opened Pandora’s box in the process. It would have been a simple matter to just aim a camera at my house and transmit a picture to the monitor on the desk but the Circuit Cellar creed is that hardware should actually work, not just impress business executives. ImageWise is a standalone serial video digitizer (there is a companion serial input video display unit as well) which is not computer dependent. Attached to a standard video camera, it takes a “video snapshot” at timed intervals or when manually triggered. 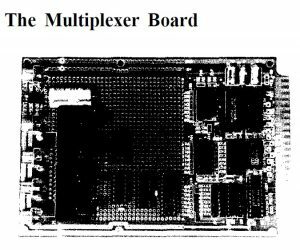 The 256×244-pixel (64level grayscale) image is digitized and stored in a 62K-byte block of memory. It is then serially transmitted either as an uncompressed or run-length-encoded compressed file (this will generally reduce the 62K bytes to about 40K bytes per picture, depending upon content). 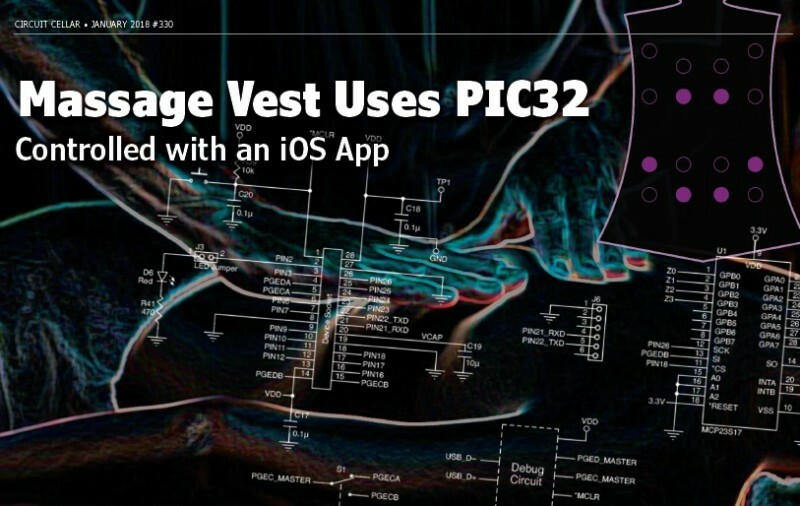 An ImageWise digitizer/transmitter normally communicates with its companion receiver/display at 28.8K bits per second. Digitized pictures therefore can be taken and displayed about every 14 seconds. While this might seem like a long time, it is quite adequate for surveillance activities and approximates the picture taking rate of bank security cameras. When we have to deal with remote rather than direct communication, “freeze-frame” imaging systems such as ImageWise can lose most of their “real time” effectiveness as continuous-activity monitors due to slow transmission mediums. Using a 9600-bps modem, a compressed image will take about 40 seconds to be displayed. At 1200 bps it will take over 5 minutes! If we know exactly when an event occurs and take a freeze frame picture exactly at that time, there is no difference between its record of the event and a real-time recorder or snap-shot camera at the same instant. The only difference is that a freeze-frame recorder needs some local intelligence to ascertain that an event is occurring so that it knows when to snap a picture. Sounds simple, right? To put real-timing into my driveway monitor, I combined a video camera and an infrared motion detector. When someone (or something) enters the trigger zone of the motion detector it will also be within the field of the video camera. If motion is detected, the controller triggers the ImageWise to capture that video frame at that instant and transmit the picture via modem immediately. The result is, in fact, real-time video, albeit delayed by 40 seconds. Using a 9600-bps modem, you will see what is going on 40 seconds after it has occurred. (Of course, you’ll see parts of the picture sooner as it is painting on the screen.) Subsequent motion will trigger additional pictures until eventually the system senses nothing and goes back to timed update. With such a system you’ll also gain new knowledge. You’ll know that it was the UPS truck that drove over the hedge because you were watching, but you aren’t quite sure who bagged the flower bed. Of course knowing a little bit is sometimes worse than nothing at all. While a single video camera and motion detector might cover the average driveway, my driveway has multiple entrances and a variety of parking areas. When I first installed a single camera to cover the main entrance all it did was create frustration. I would see a car enter and park. If the person exited the vehicle they were soon out of view of the camera and I’d be thinking, “OK, what are they doing?” Rather than laying booby traps for some poor guy delivering newspapers, I decided to expand the system to cover additional territory. Ultimately, I installed three cameras and four motion detectors which could cover all important areas and provide enough video resolution to specifically recognize individuals. (Since I have four telephone lines into my house and only one is being used with ImageWise, I suppose the next step is to use one of them as a live intercom to speak to these visitors. A third line already goes to the home control system so I could entertain less-welcome visitors with a few special effects). Enough of how I got into this mess! What this is all leading to is the design of my motion triggered video camera multiplexing (MTVCM) system. I am presenting it because it was fun to do, it solved a particular personal problem, and if I don’t document it somehow, 1’11 never remember what I’ve got wired the next time I work on it. The MTVCM is a 3-board microcomputer-based 4-channel video multiplexer with optoisolated trigger control inputs (see figure 1). 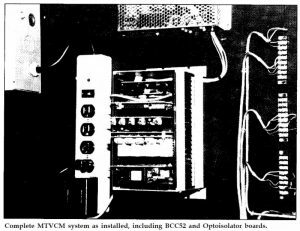 Unlike the high-tech totally solidmultiplexer state audio/video (AVMUX) which I presented a couple years ago (BYTE Feb ‘86), the MTVCM is designed to be simple, lightning-proof, reliable, and above all flexible. The MTVCM is designed for relatively harsh environments. To minimize wire lengths from cameras and sensors, the MTVCM is mounted in an outside garage where its anticipated operating temperature range is -20°C to +85”C. The MTVCM operates as a standalone unit running a preprogrammed control program or can be remotely commanded to operate in a specific manner. It is connected to the Imagewise and additional electronics in the house via a twisted-pair RS-232 line, one TTL “camera ready” line, and a video output cable. 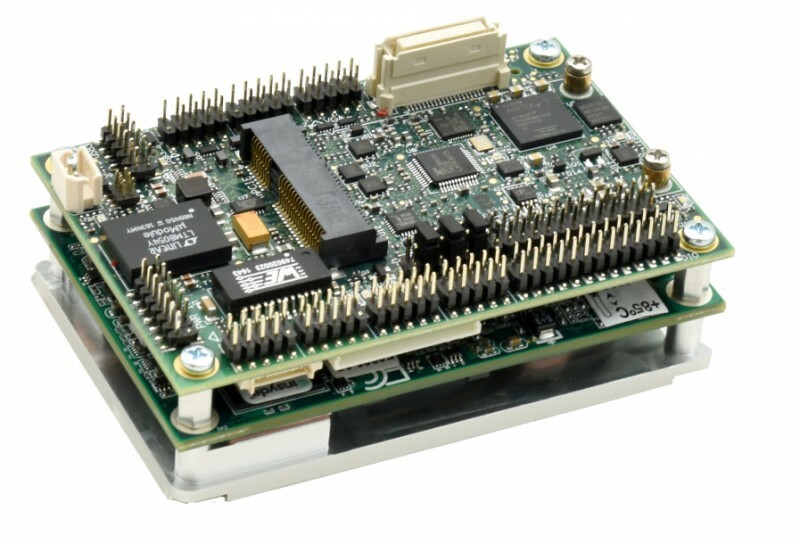 At the heart of the MTVCM is an industrial temperature version of the Micromint BCC52 8052based controller which has an onboard full floating-point 8K BASIC, EPROM programmer, 48K bytes of memory, 24 bits of parallel I/O and 2 serial ports (for more information on the BCC52 contact Micromint directly, see the Articles section of the Circuit Cellar BBS, see my article “Build the BASIC-52 Computer,” BYTE, Aug ‘85, or send $2 to CIRCUIT CELLAR INK for a reprint of the original BCC52 article). Because the BCC52 is well documented, I will not discuss it here. The MTVCM is nothing more than a specific application of a BCC52 process controller with a little custom I/O. In the MTVCM the custom I/O consists of a 4channel relay multiplexer board and a 4-channel optoisolated input board (Micromint now manufactures a BCC40R 8-channel relay output board and a BCC40D direct decoding 8-channel optoisolated input/output board. Their design is different and should not be confused with my MTVCM custom I/O boards). Each of my custom circuits is mounted on a BCC55 decoded and buffered BCC-bus prototyping board. Figure 2 details the basic circuitry of the BCC55 BCC-bus prototyping board. 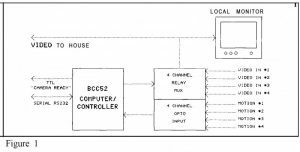 The 44-pin BCC-bus is a relatively straightforward connection system utilizing a low-order multiplexed address/data configuration directly compatible with many standard microprocessors such as the Z8, 8085, and the 8052. On the protoboard all the pertinent busses are fully latched and buffered. The full 16-bit address is presented on J19 and J20 while the 8-bit buffered data bus is available at J21. J22 presents eight decoded I/O strobes within an address range selected via JP2. Figure 3 is the schematic of the relay multiplexer added to the prototyping board. The relay circuit is specifically addressed at C900H and any data sent to that location via an XBY command [typically XBY(0C900H)=X] will be latched into the 74LS273. Since it can be destructive to attach two video outputs together, the four relays are not directly controlled by the latch outputs. 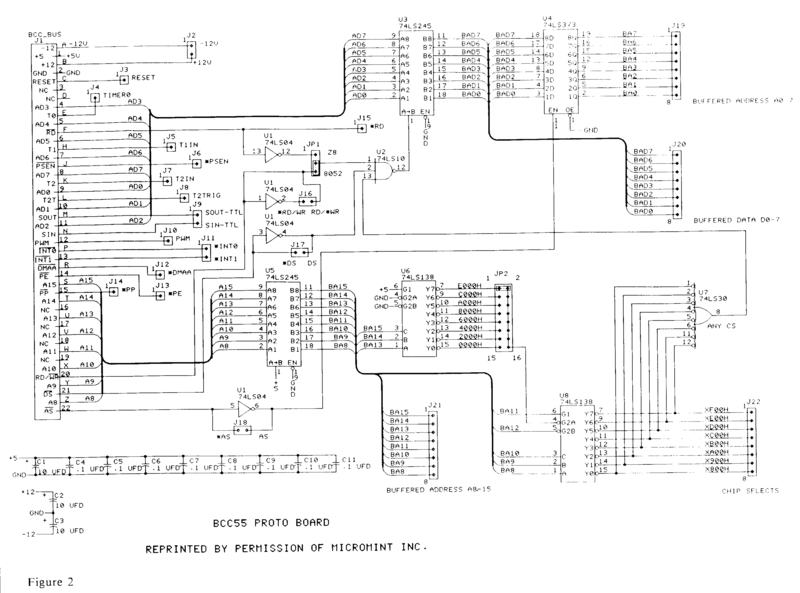 Instead, bits DO and Dl are used to address a 74LS139 one-off our decoder chip. The decoder is enabled by a high-level output on bit D3. Therefore, a 1000 (binary) code selects relay 4 while a 1011 code selects relay 1. An output of 0000 shuts off the relay mux (eliminating the decoder and going directly to the relay drivers allows parallel control of the four relays). All the normally-open relay contacts are connected together as a common output. Since only a single relay is ever on at one time, that video signal will be routed to the output. If the computer fails or there is a power interrupt, the default output state of a 74LS273 is normally high. Therefore, the highest priority camera should be attached to that input. If the system gets deep-sixed, the output will default to that camera and will still be of some use (I could also have used one of the normally-closed contacts instead but chose not to). Mother Nature. Every year I get blasted and it’s always the high-tech stuff that gets blitzed. Because the MTVCM has to work continuously as well as be reliable I had to take measures to protect it from externally-induced calamities. This meant that all the inputs and outputs had to be isolated. In the case of the video mux, the only low-cost totally isolated switches are mechanical relays. CMOS multiplexer chips like the ones I’ve used in other projects are not isolated and would be too susceptible. (Just think of the MTVCM as a computer with three 150-foot lightning collectors running to the cameras.) Relays still serve a useful purpose whatever the level of integrated circuit technology. They also work. Because the infrared motion sensors are connected to the AC power line and their outputs are common with it, these too had to be isolated to protect the MTVCM. Figure 4 details the circuit of the 4-channel optoisolator input board which connects to the motion detectors. [typically X=XBY(OCAOOH)] will read the 8 inputs of the 74LS244. Bits O-3 are connected to the four optoisolators and bits 4-7 are connected to a 4-pole dip switch which is used for configuration and setup. Between the optoisolators and the LS244 are four 74LS86 exclusive-OR gates. They function as selectable inverters. Depending upon the inputs to the optoisolators (normally high or low) and the settings of DIP SW2 you can select what level outputs you want for your program (guys like me who never got the hang of using PNP transistors have to design hardware so that whatever programming we are forced to do can at least be done in positive logic). The optoisolators are common units sold by OPT022, Gordos,and other manufacturers. They are generically designated as either IAC5 or IDC5 modules depending upon whether the input voltage is 115 VAC or 5-48 VDC. Since the motion detectors I used were designed to control AC flood lights, I used the IAC5 units connected across the lights. Now that we have the hardware I suppose we have to have some software. For all practical purposes, however, virtually none is required. 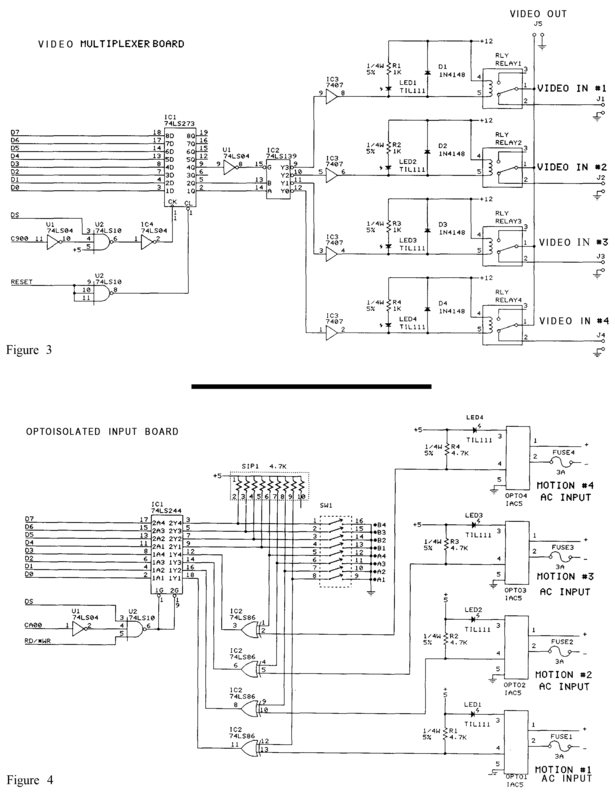 Since teh MTVCM is designed with hardcoded parallel port addressing, you only need about a three-line program to read the inputs, make a decision and select a video mux channel; you know, something like READ CAOOH, juggle it, and OUT C900H. I love simple software. Of course, I got a little more carried away when I actually wrote my camera control program. I use a lot of REM statements to figure out what I did. 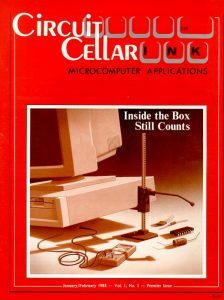 Since it would take up too much room here, I’ve posted the MTVCM mux control software on the Circuit Cellar BBS (203-8711988) where you can download it if you want to learn more. Basically, it just sits there looking at camera #l.. If it receives a motion input from one of the sensors, it switches to the appropriate camera and generates a “camera ready” output (TTL output which is optoisolated at the other end) to the ImageWise in the house. It stays on that camera if it senses additional motion or switches to other cameras if it senses motion in their surveillance area. Eventually, it times out and goes back to camera # 1. Basically, that’s all there is to the MTVCM. If you are an engineer you can think of it as a lightning-proof electrically-isolated process-control system. If not, just put it in your entertainment room and use it as a real neat camera controller. Now I’ve opened a real bag of worms. Remotely controlling the ImageWise digitizer/transmitter from my office through the house to the MTVCM is turning into a bigger task than I originally conceived. Getting the proper picture and tracking someone in the driveway is only part of the task. I can already envision a rack of computer equipment in the house which has to synchronize this data traffic. My biggest worry is not how much coordination or equipment it will involve, but how I can design it so that I can do it all with a three-line BASIC program! Be assured that I’ll tell you how as the saga unfolds.